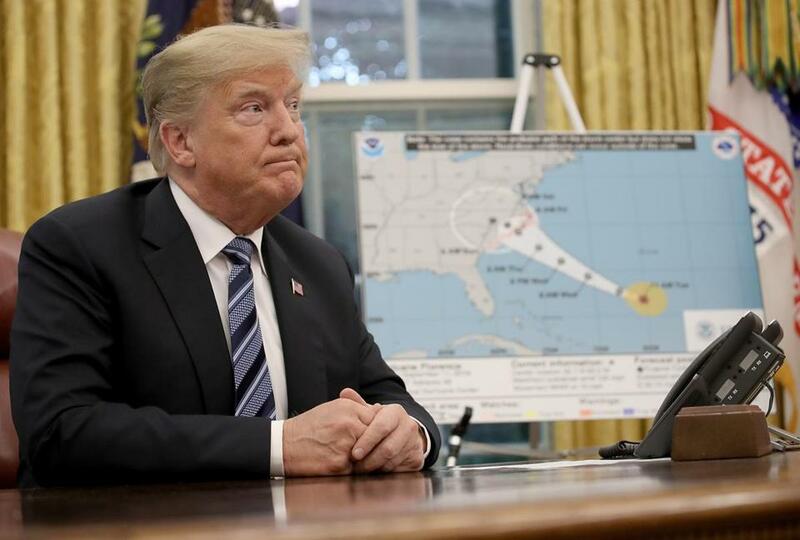 President Trump at an Oval Office meeting prior to Hurricane Florence making landfall. Some of his comments in the storm’s aftermath will appear in “Whose Boat Is This Boat? Simon & Schuster will publish “Whose Boat Is This Boat? Comments That Don’t Help in the Aftermath of a Hurricane,” inspired by the moment Donald Trump told a North Carolina hurricane survivor, “At least you got a nice boat out of the deal.” The president was referring to a boat that had shipwrecked on the survivor’s property during the storm. When does it go on sale? Nov. 6, of course, also known as midterm election day.